We’re only six weeks in, and we’ve already had two live action/animation adaptations of beloved British classics of children’s literature, both starring members of the Gleeson family. One will go down in history as an example of how to do it right and the other, if it must remembered at all, will be the example of how to do it wrong. For the record, Paddington 2, starring Brendan Gleeson, captured the gentle charm of the stories because it trusted its source material and it trusted its audience. But “Peter Rabbit,” based on the books and paintings by Beatrix Potter, tries to make the classic story of a bunny who ignores his mother’s warning and almost gets caught by the farmer when he steals into the garden into a hyped-up, wink-at-the-crowd mess of slapstick, meta-narrative, and story of love and redemption. By trying to be contemporary, it loses the very qualities that have made it beloved in generations of nurseries. As in the original book, before the story begins Peter’s father was captured by Mr. McGregor (Sam Neill) and eaten in a pie. Unlike the book, Peter’s mother is gone, too, and he is responsible for his sisters, Flopsy, Mopsy, and Cottontail and his cousin, Benjamin Bunny. Peter (voice of James Corden) is reckless and over-confident, leading Benjamin into the garden, which McGregor has covered with scary-looking steel traps. “There are other ways to get a meal,” he’s warned. “But not as fun!” Peter says, happy to risk not just his own life, but the others’ as well. Peter deftly avoids the traps, but almost ends up in a pie himself, escaping by slipping out of his denim jacket, which McGregor uses on a (tiny) scarecrow. Aiding his rescue is McGregor’s neighbor, Bea (as in Beatrix Potter), a sweet-spirited artist who lives next door and is a friend to all of the local animals. When Peter goes back to retrieve his jacket, McGregor catches him. It is almost too late for him to save himself when suddenly McGregor, like Don Corleone in “The Godfather,” has a sudden heart attack in the garden, collapses and dies. Though Peter takes credit for vanquishing his foe, the narrator (Margot Robbie) assures us that his death is attributable to “78 years of bad lifestyle choices,” with a merry little montage of McGregor inhaling asbestos and eating high-fat food. Really? This, of course, is not in the book, is completely unnecessary to the storyline, and is likely to raise concerns in some of the young viewers, especially after Peter brags that he made it happen. The property is inherited by another Mr. McGregor (Domhnall Gleeson), a persnickety control-freak of a great-nephew who barely knew he had a great-uncle with a farm and never met him. Thomas McGregor works for the famous Harrods department store, where he has a complete meltdown after being denied a promotion due to nepotism. If all of this seems superficial and unnecessary, that is because it is. His arrival at the farm brings mayhem as he battles Peter and the rest of the local critters for the vegetable garden and the house, trying not to let his pretty neighbor know that he is not as much of an animal-lover as she is. The movie opens with soaring birds singing an uplifting ballad — and then getting smushed, which becomes a repeated gag. So from the beginning, this film undercuts itself, winking at the audience and then trying to take it back. A joke about today’s parents’ oversensitivity to allergies is followed by “just kidding; don’t write letters!” “Don’t explain the joke,” Benjamin Bunny says. But that’s just what the movie does, constantly unsure of its focus and tone. Some sweet moments and lovely animation cannot make up for a film that is, to use a food metaphor, overstuffed and yet undernourished. 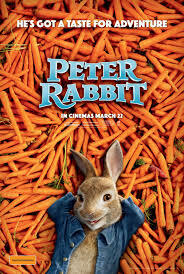 Parents should know that this movie includes some comic peril and violence, but a human character collapses and dies and there are references to the sad loss of Peter Rabbit’s parents, including his father’s being made into a pie, brief potty humor, some body shaming, and schoolyard language. Family discussion: What did the characters learn about apologizing? Should farmers let animals eat their crops? What is your character flaw? 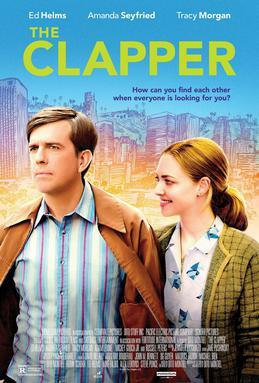 “The Clapper” is an unpretentious little indie from writer/director Dito Montiel, adapting his own novel. It has actors who are familiar from studio movies and television playing quirky characters with a bit of social satire some family dysfunction, and a love story. The screenplay is uneven, but the exceptionally strong cast makes it watchable. Ed Helms is a gifted actor/comedian who can play something other than a repressed, depressed but very nice guy (see, for example, “Jeff, Who Lives at Home,” and “We’re the Millers”), but that seems to be where he is most comfortable. Like the neglected gem “Cedar Rapids,” which he produced, as he did here, Helms plays a man who has shut down many of his emotions following a loss. He has what might be termed a micro-job. He and his best friend, Chris (Tracy Morgan) are “clappers.” They sit in the audience in infomercials and appear to be amazed and wildly enthusiastic about whatever is being pitched. Occasionally, they will get a line like, “There’s more?” for a couple of extra bucks. He has a hat and a fake moustache to try to look different for each show. But a late-night host (Russell Peters) figures out that it is the same guy in all of the ads, and turns it into a bit, crowdsourcing a “Where’s the clapper?” search for the elusive audience member. It goes viral. In the world of this film, there is something existentially compelling about the sad sack who has nothing better to do than pretend to be in ecstasy over a bunch of cheesy junk and get rich quick schemes. You might think that with a main character named Eddie Krumble, the movie is going to be harsher and more sharply satiric than it is. But there is a sweetness to it that is undeniably captivating. The talk show host and his producers (Adam Levine and the very funny P.J. Byrne) are out for ratings and not especially sensitive, but they are also not cartoonish villains, and they are not without heart. Eddie is horrified at the attention and knows it means he will lose his job, but he agrees to go on the show so he can find Judy (Amanda Seyfried), the shy, animal-loving gas station attendant he loves from afar. He does not think through the consequences of his appeal, because of course he turns on her the same kind of misery he has been subjected to as a result of the spotlight. The script is uneven, with some awkward shifts in tone, as when Eddie’s mother appears as a caricature out of step with the rest of the film. But the movie’s biggest failure is in the character of Judy. 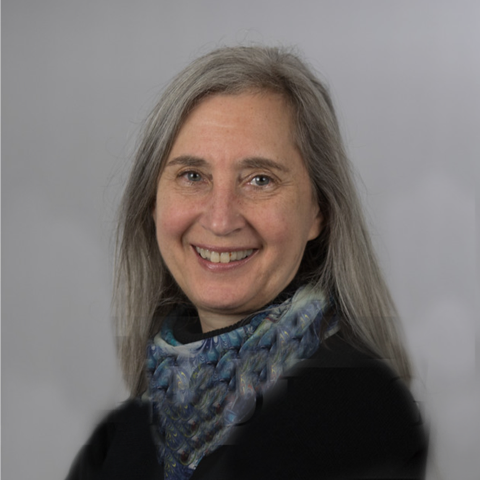 Seyfried gives one of her best performances, but cannot save the character from the lack of agency or even personality that is the fault of the script. She is pretty much just there to for Eddie to respond to. NOTE: I have a connection to this film. My daughter, Rachel Apatoff, was the assistant costume designer. So I make no pretense of objectivity in stating that the costumes were all superb and one of the highlights of the movie. Well, there is a brief song by Travis Tritt. And actor Alex Roe is personable and engaging even in the preposterously imagined role of Liam Page, a country singer whose every moment is obsessed over by zillions of fans and all of the magazines sold at grocery store checkout counters. But that can’t make up for the syrupy Nicholas Sparks wannabe storyline, clunky dialogue (we are told three times in the first seven minutes that hometown boy Liam is on the brink of stardom) and the excruciatingly chirpy child at its heart. 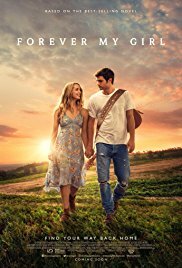 Liam Page runs out on his wedding, leaving Josie (Jessica Rothe) in their Louisiana hometown and going off to pursue a career in music. Eight years later, he is is a country superstar, performing in arenas and chased by fans as though he is a Beatle. A would-be groupie accidentally breaks his vintage cell phone, and he runs to the store barefoot offering $10,000 to get it repaired. Under the duct tape and the bent antenna there is a voicemail he just cannot lose (or, apparently, download to another phone). This is, of course, documented by fans on their (up to date) cell phones and a major news story. Liam is a mess, drinking too much, behind on the songs he owes his record label. When he finds out that his hometown best friend has been killed in an accident, he returns, to stand outside the church during the funeral, unable to bring himself to go inside. He gets a grim greeting from the preacher, who is his father, and a punch in the stomach from Josie. But it turns out that Josie has a seven year old daughter, and it does not take a math whiz to figure out that Billy (Abby Ryder Fortson) unfortunately conceived as 90 percent precocious sass with gratingly quippy commentary about the “stats on surviving an accident in a convertible — they are low, staggeringly low.” “What happened to Mom’s rose garden?” Liam asks his father in case we are missing the metaphor. Don’t worry, no one possibly could. Listen, Nicholas Sparks is already Nicholas Sparks lite. You can’t really take it any further or, I should say, make it more shallow than that. Pretty people with pretty problems will always be playing on a screen somewhere, but this one is better suited for watching while folding laundry. Parents should know that this film includes drinking and alcohol abuse, reference to drug use, sad parental death, offscreen fatal accident, mild references to groupies and pregancy, and some language. Family discussion: Why did Liam leave Josie? Should she forgive him? Why?